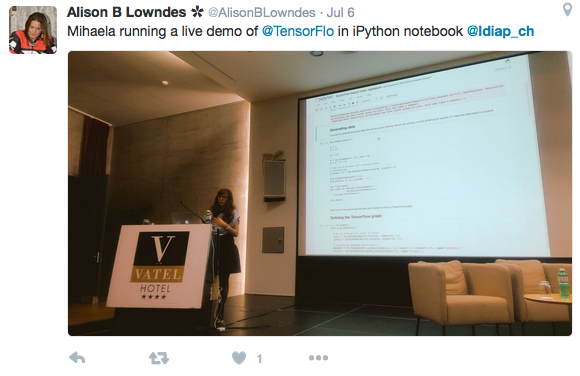 Klewel 2.0 | Is Artificial Intelligence at the service of humanity? 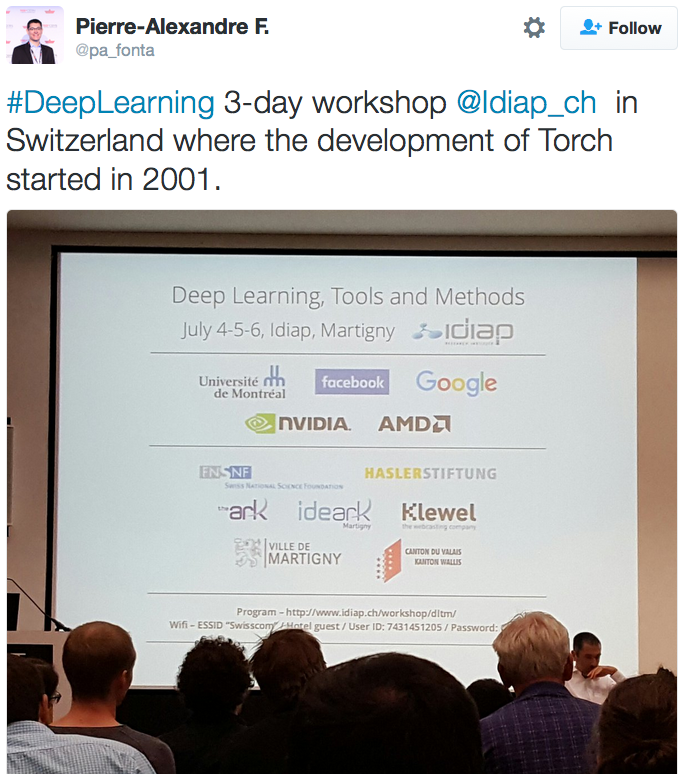 François Fleuret from the Idiap research institute here in Martigny Switzerland recently organized a workshop on the tools and methods related to deep learning. 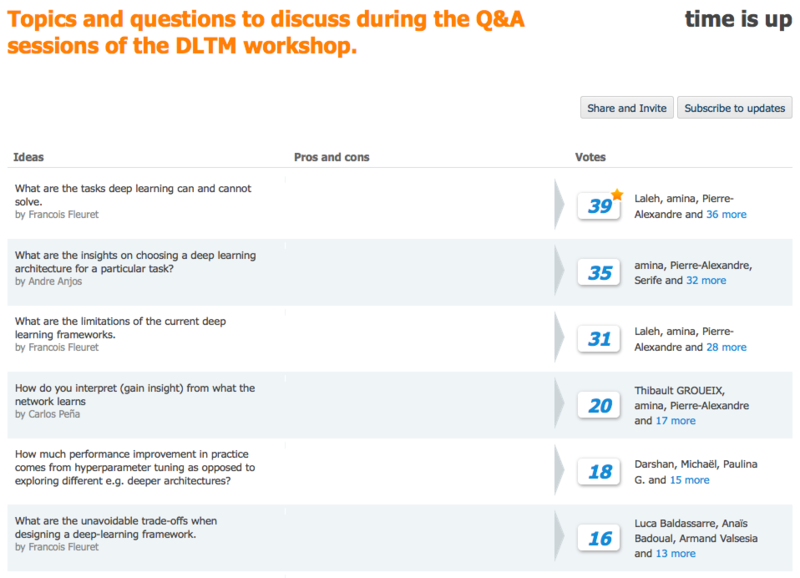 What is deep learning? Yoshua Bengio gave a good introduction to this field during the first 10 minutes before diving into the scientific heart of it: talking about back propagation, gradients, derivatives, probabilities, artificial neural networks. All the talks are available on demand. You can play back presentations from S. Chintala at facebook about Torch, M. Rosca at Google about TensorFlow, A. Lowndes at NVidia and M. Breternitz at AMD. Idiap celebrates its 25 years. Idiap is the birth place of the software Torch originally written by Ronan Collobert, Samy Bengio and Johnny Mariethoz starting around 2001. In this article (in French), Yoshua Bengio talks about the difficulty to retain good students at his lab due to the salaries offered by large companies (Google, facebook) in this field. 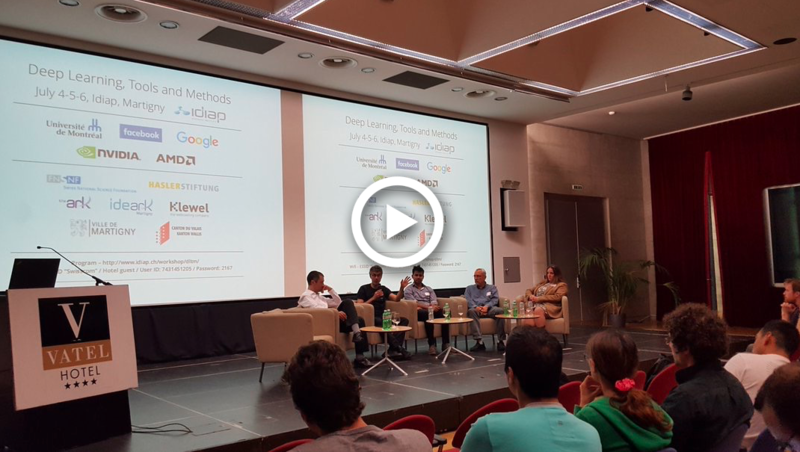 Webcasted lectures about neural networks at EPFL, webcast powered by Klewel back in 2011. 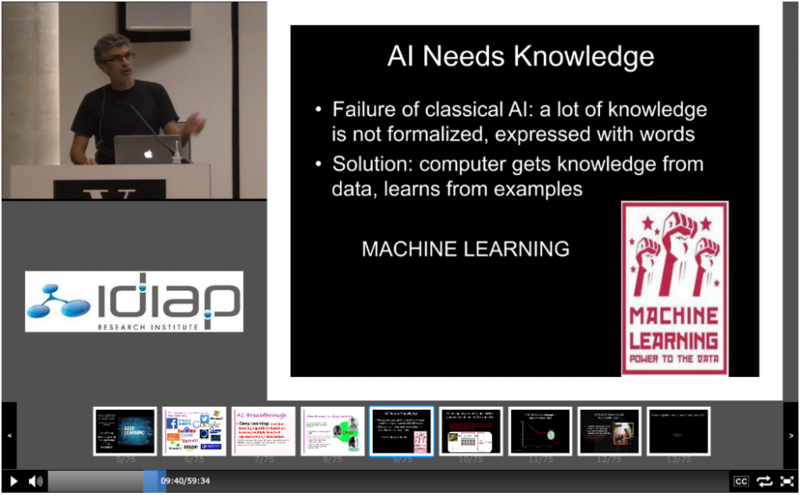 Idiap speaker series, many of these talks are applications of machine learning. At Klewel we love to help you save the knowledge and gain more visibility by webcasting your events online. If you also want to strengthen the visibility of your event within your specific community, please contact us at +41 27 722 43 42.